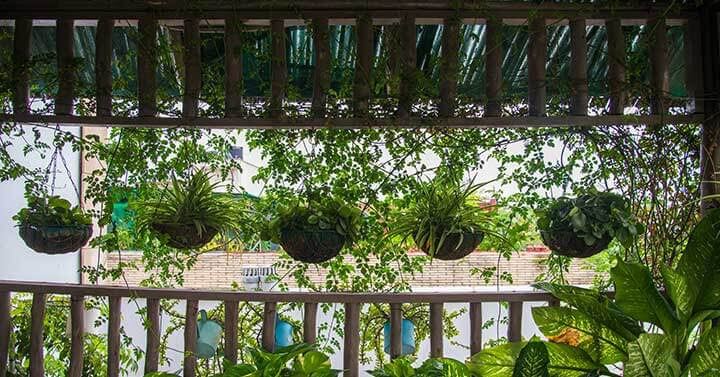 Sonali Jindal from UrbanClap tells us how to create that perfect designer balcony. These days, most people prefer to live in apartment-style homes, which come with attached fittings, fixtures, and every other minute detail imaginable. The millennial population is smart and is generally aware about the latest market trends. 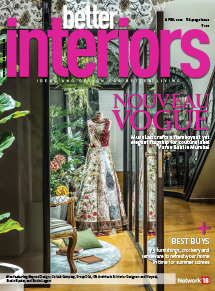 They invest in beautifying their home in such a way that it begins to reflect their personality and lifestyle. 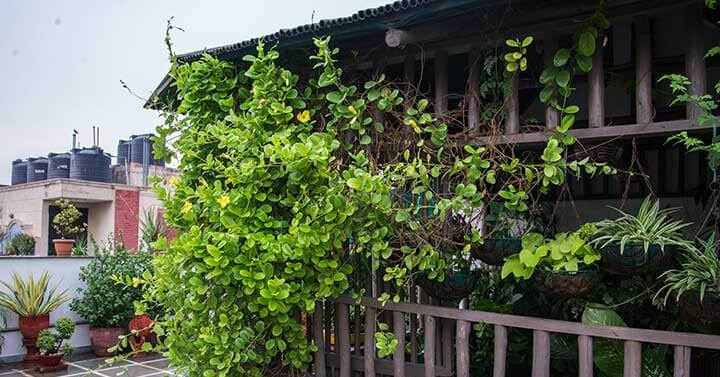 Although some people have unique tastes and preferences when it comes to decorating their homes, they sometime tend to miss out one key area in their house â€” the balcony. 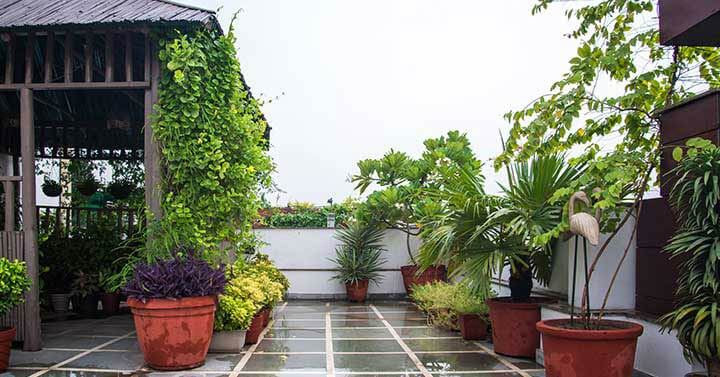 Balconies are one of the most underrated aspects of a house, and it is high time we begin to realize how important this little space is, to our home and how it can be modified to give oneâ€™s home a refreshingly different look. 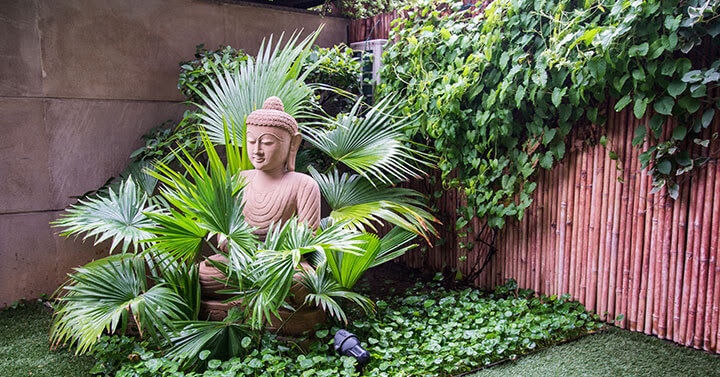 In this article, we are going to look at elements which can transform the humble balcony into a peaceful and private oasis. When modifying a balcony, the first thing that should be kept in mind is the flooring. Choosing a floor that best suits your requirement can be a tricky decision depending on how you want to utilize that space.The most common material used for flooring these days is wood. Wooden tiles or planks in dark and sturdy materials like oak can be used if one chooses to go for a rustic look. One can also opt for a combination of flooring materials â€” coloured tiles, pea gravels, ceramic tiles, and more. People who love to walk on grass can use green covers to achieve that purpose. Underfoot artificial grass are quite common since they do not require any maintenance like mowing or spraying water to keep it green. Additionally, it can help create a beautiful contrast on the balcony floor and make it look lush. 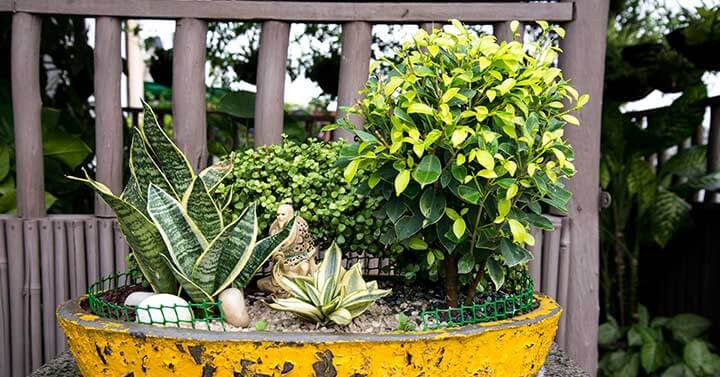 For those who love gardening, potted plants in various designs and sizes is a must-have. 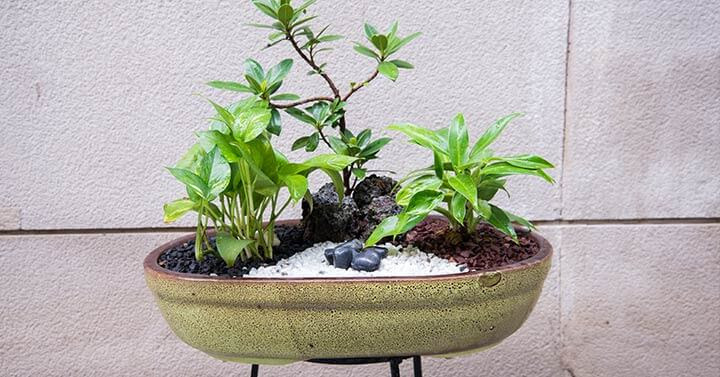 Whether its flowering plants, decorative plants, or herbs, individuals can choose from a host of different containers which can showcase their talent for gardening in a beautiful manner. Bamboo shades are eco-friendly as well as practical. 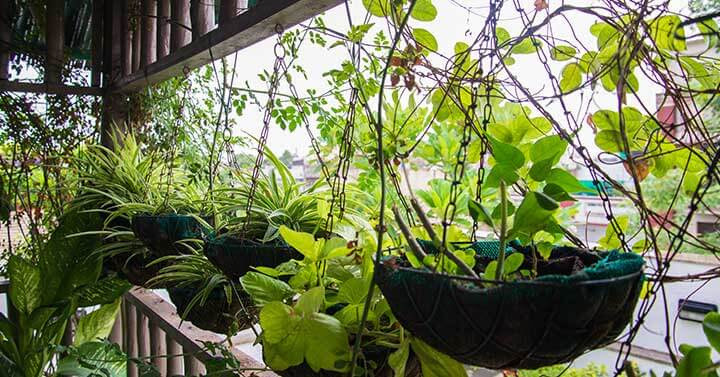 It can work extremely well in summers as it keeps the balcony area cool. For a more relaxing atmosphere, one can always sprinkle water over these shades and enjoy the feeling of breezy air even in hot weather. 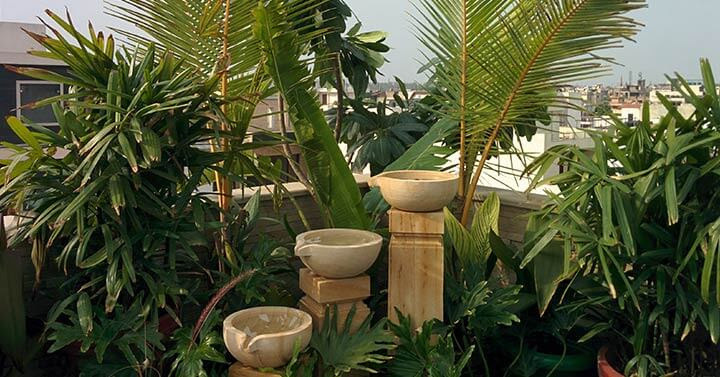 To fully utilize the concept of â€˜greenâ€™ and nature-friendly balconies, go for furniture that come in natural materials. If the balcony is big, one can create an elaborate seating arrangement in that area by utilizing furniture made of bamboo and/or recycled material. Pebbles in different sizes can be placed either on pots, or among plants. Choose colourful pebbles which can be placed in water filled earthenware or porcelain containers. 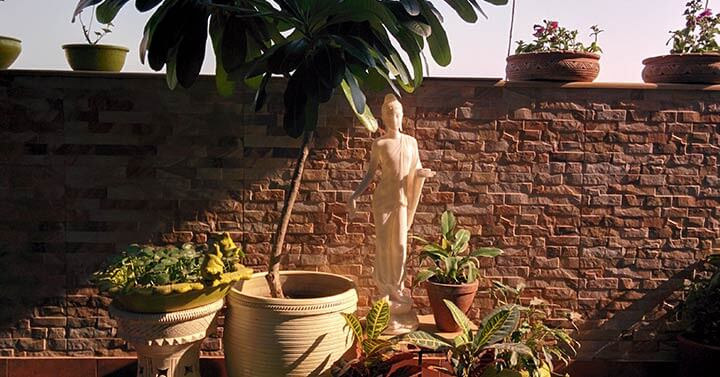 If the budget allows, incorporate mini fountains in balconies to give a regal ambience to your r balconies. It can also help soothe the senses, are pleasing to look at, and give a sense of peace and calm. Container gardening refers to growing edible plants in containers instead of the conventional way of planting them in the ground. Those who love to cook or like to use fresh ingredients in their cooking can certainly try this activity. Small coffee sacks, old cans, bottles, or buckets can be used to grow various vegetables like carrots, and aromatics like ginger. 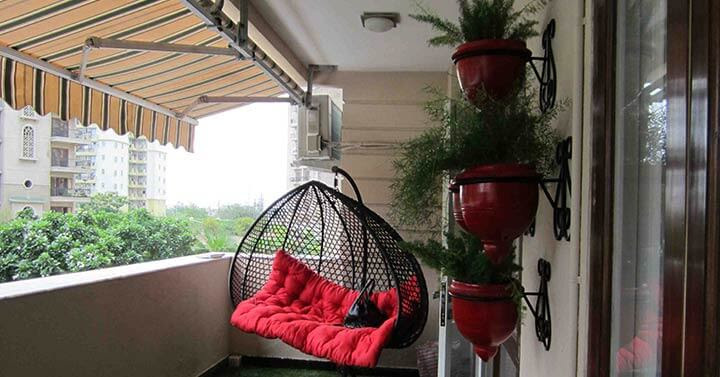 Apart from its practical use, this can also give oneâ€™s balcony a quirky and unique look.